JS Outdoor Cinema Evening – This Friday! Home/JS Outdoor Cinema Evening – This Friday! 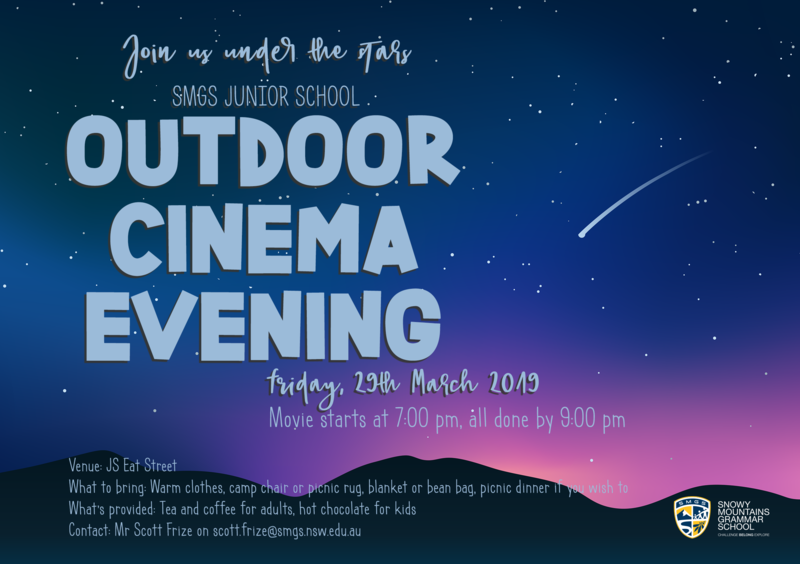 On Friday, 29th March, our Junior School will be hosting their first ever Outdoor Cinema Evening! Reminiscent of the old days of the drive-in or summer festival moonlight movies, we are offering SMGS families the chance to come in and relax on a Friday night with a feel-good movie that will be projected onto a large screen in the courtyard of Eat Street.